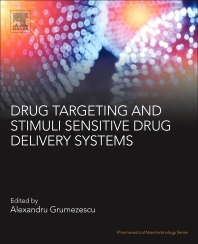 Drug Targeting and Stimuli Sensitive Drug Delivery Systems covers recent advances in the area of stimuli sensitive drug delivery systems, providing an up-to-date overview of the physical, chemical, biological and multistimuli-responsive nanosystems. In addition, the book presents an analysis of clinical status for different types of nanoplatforms. Written by an internationally diverse group of researchers, it is an important reference resource for both biomaterials scientists and those working in the pharmaceutical industry who are looking to help create more effective drug delivery systems.